Meeting someone for the first time in a café typically involves guesswork: Is it the person alone at that table or the one just standing up? There is no question, however, when this reporter meets with tenor Joshua Collier at Gourmet Provence in Brandon. The opera singer is clearly the one ordering coffee in a booming voice with a laugh worthy of a mid-aria delivery. Collier, a whirlwind of energy and enthusiasm, moved last September to Brandon from Boston. In the Massachusetts capital, he had managed an opera company that he founded, Opera Brittenica, for five years while also performing around the country. Vermonters may have heard Collier's big, sonorous voice as early as 2015, when he covered the role of Calaf in the Opera Company of Middlebury production of Giacomo Puccini's Turandot. He went on to sing several roles in OCM's trio of Puccini one-act operas, Il Trittico, and the lead in the company's most recent production, Gaetano Donizetti's The Elixir of Love. 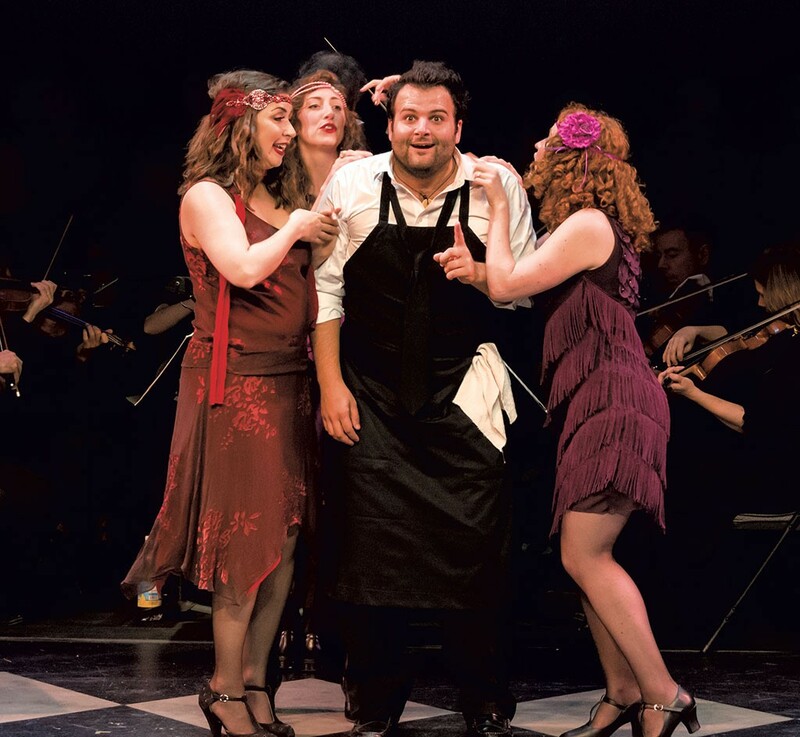 In August, he sang Rodolfo in Southern Vermont Lyric Theatre's concert staging of Puccini's La Bohème. Collier, 30, sings frequently in larger companies, too, from Sarasota Opera in Florida to Opera Wilmington in North Carolina. But his positive Vermont experiences, particularly with OCM, prompted him to take an unusual step for a talented opera singer with a burgeoning national career. He decided to make Vermont his home base and bought a house for his wife, young daughter and parents. Then he founded the state's newest opera company. That was all in the last four months. BARN OPERA launches on February 17 with a concert staging of Puccini's Madama Butterfly. Collier will sing Pinkerton. The performance will have piano accompaniment and minimal sets and take place at Brandon Music Center, a music and event space in a renovated barn owned by Stephen and Edna Sutton. Net proceeds from this and future BARN OPERA events — Collier plans to present concert operas quarterly — will benefit the Suttons' arts education foundation, Compass Music and Arts Center, on the other side of town. Collier joined the foundation's board soon after moving to Brandon and conceived of the opera company as a way to help support it. "He's got a very giving spirit," says Edna Sutton. "He's so passionate about music, so enthusiastic and warm and welcoming. He's infectious. You just go with it, don't you?" Other brave souls have started opera companies in Vermont only to find the art form too expensive to support. The Green Mountain Opera Festival ended a 10-year run in 2014, Opera Theatre of Weston closed in 2015 and Vermont Opera Project survived two seasons before closing in September. SVLT presented its first semi-staged opera performance, La Bohème, only last August. OCM, now in its 15th year, is the sole organization offering fully staged productions — two this past year. Collier seems well suited to grow the state's opera landscape. One indication is that BARN OPERA's February performance already sold out — by word of mouth alone. He's now planning a second showing and has already lined up two performances each of the season's other three productions ("Opera's Greatest Hits" in May, Wolfgang Amadeus Mozart's Così fan tutte in September and La Bohème in December). The singer is also an adventurous producer. He once staged an audience-immersive production of Benjamin Britten's Turn of the Screw in an old Boston house. (Collier founded Opera Brittenica as a niche company to produce works by Britten.) And he mounted a collaborative production of a Filipino opera, Felipe Padilla de Leon's Noli Me Tángere, for which he and his cast learned to sing in Tagalog. Collier's vision for BARN OPERA is equally unconventional. He aims to bring masterworks he loves to audiences in a casual, intimate setting that includes cash bars offering local beverages. Butterfly will be sung in the original Italian, but Collier plans to post the libretto online and have the singers videotape themselves explaining the plot from their characters' points of view. Before each act, a company associate will summarize what's coming. "I believe opera is a living, breathing thing," says Collier. "I don't think opera is a museum piece." His sense of adventurousness extends to his musicianship. Collier earned a master's degree in vocal performance at the New England Conservatory. For OCM's Elixir, he researched and sang an embellished version, in Donizetti's original style, of his character Nemorino's famous aria, "Una furtiva lagrima." When he sang with Harvard University's Lowell House Opera, Collier leapt at the chance to sing the "incredibly challenging" role of Gérald in Léo Delibes' Lakmé, according to then-conductor Lidiya Yankovskaya. "Most tenors his age would be afraid to delve into that," says Yankovskaya, who is now music director of Chicago Opera Theater. "Josh just took it head-on." Collier has also secured a notable, all-Vermont cast for his first production. The singers include baritone Cailin Marcel Manson of Putney; tenor Cameron Steinmetz and soprano Allison Devery Steinmetz, both of Montpelier; and the Jamaica couple Julie and Ken Olssen — she is a mezzo-soprano, and he's a conductor-pianist and the accompanist for Butterfly. The Olssens founded SVLT. Most exciting for Collier is the star soprano he landed for the title role: Helen Lyons of Ferrisburgh. Lyons is a native of Williston who returned to Vermont in June 2016 after a multiyear career on stages in Germany, China and the U.S. Collier pulls out his phone to play YouTube recordings of her singing. Her rendition of "Vissi d'arte" from Puccini's Tosca exhibits stunning breath control and effortless high notes. "It's going to be ridiculous," he enthuses. In 2010, with small opera companies folding "left, right and center" in the wake of the recession, Lyons says, she followed a friend to Germany. The country is a major training ground for young American singers. Its numerous, state-supported opera houses have the funds and cultural support to mount experimental stagings and take chances on unknown singers. Lyons got work on her first round of auditions and ended up singing in Germany for three years. One opera reviewer there described her voice as "sternglänzende" — a shining star. The director Tilman Knabe, whom Lyons calls the "enfant terrible of the German stage," so enjoyed her acting skills that he changed the ending of Richard Strauss' Elektra to show her character, Chrysothemis, putting a gun to her head just before curtain. After her fourth — and first unsuccessful — audition season in Germany, Lyons moved back to New York and happened to meet her future husband. "I thought, Why don't I just enjoy a personal life for a while?" she says. "So I phased myself out of the whole audition grind." Her husband telecommutes, so the couple was able to move to Vermont. Lyons now works in real estate with Coldwell Banker Hickok & Boardman and sings exactly when she wants to, she says. She joined the women's choir Bella Voce and has given recitals accompanied by Recchia. Lyons is eager to sing Cio-Cio San in BARN OPERA's Butterfly — a role she has never sung in full. 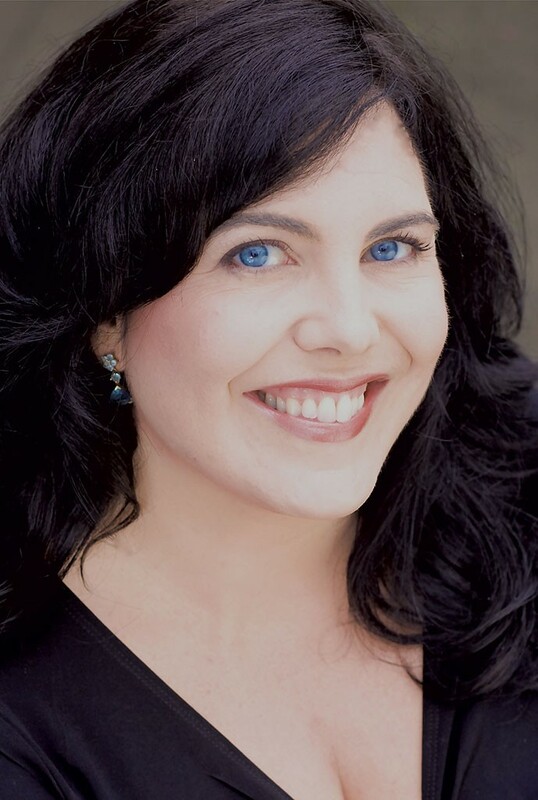 New York-based soprano Amber Smoke, Lyons' friend since they met singing with Santa Fe Opera in 2005, has continued pursuing a professional career. Of Lyons' choice to step away from the stage, Smoke comments, "Every singer comes to that decision at a different time. The endless circuit of auditions is really tiring." Collier says he has it much easier as a tenor. "There are eight million sopranos for every role," he quips. The tenor continues his own circuit. Collier last spoke on Thursday with Seven Days from NYC after an audition for Texas' Amarillo Opera. ("It went really well!" he reported.) This year, he will travel to Pennsylvania, North Carolina, Florida, New Hampshire, Massachusetts and New York for gigs. In October, Collier will reprise his role in OCM's Elixir when the company tours the production around Vermont — a new effort just announced by artistic director Doug Anderson. Meanwhile, Collier will bring Vermonters what looks to be an exciting experience of opera. Audiences will hear two very big voices — those of Collier and Lyons — and other top local talent deliver beautiful, dramatic and moving music up close, in a room with no raised stage to divide singers from listeners. "This is really just something cool to do on a Saturday night," Collier promises of BARN OPERA performances. "It's a social event, as opposed to 'Let's sit quietly for two hours.'" Anderson, who is thrilled to have more opera happening 15 minutes down the road, can't wait. "One piano, great talent and 50 people with wine glasses in their hands," he says. "That's my idea of a great evening." The original print version of this article was headlined "Aria Adventures"